It’s not often that Hollywood produces a film featuring the Canadian armed forces during the Second World War. ‘The Devil’s Brigade’ released in 1968. The classic film features the wartime record of the First Special Service Force, a Canadian-American commando unit raised in 1942. Their mission was to airdrop into Norway to undertake extensive sabotage operations. In 1943 the Norway mission was cancelled, and the Forcemen retrained as elite assault troops. They earned their fame in Italy, fighting alongside 5th US Army and becoming the first troops to enter Rome in June 1944. The soldiers of both countries formed relationships that lasted a lifetime. The men were so closely integrated that they often didn’t know whether the man in the trench next to them was Canadian or American. Unfortunately, the administrative effort to support Canadian troops serving in a unit equipped and supplied by the US Army caused the Canadian Army plenty of headaches. Events in southern Europe managed to keep the Force together until December 1944. After that, the Canadian and American soldiers went their separate ways. Unidentified staff sergeant of the First Special Service Force, wearing the distinctive USA-CANADA spearhead shoulder title, Anzio beachhead, Italy, 20 April 1944 (Lieut. C.E. Nye / DND / LAC / PA-179725). James Wood is a professor in the Department of History at Okanagan College in Kelowna, BC. 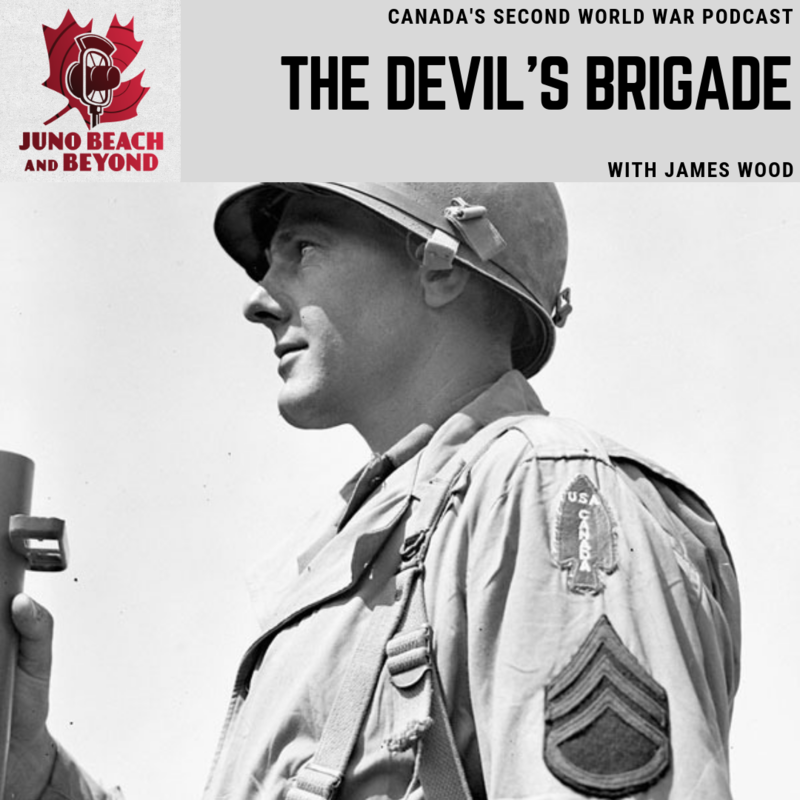 In 2006, Professor Wood published his master’s thesis, We Only Move Forward: Canada, the United States, and the First Special Service Force, 1942-44. He is a reserve officer with the British Columbia Dragoons. Juno Beach & Beyond is hosted and edited by Alex Fitzgerald-Black, the centre’s Digital Projects Coordinator.